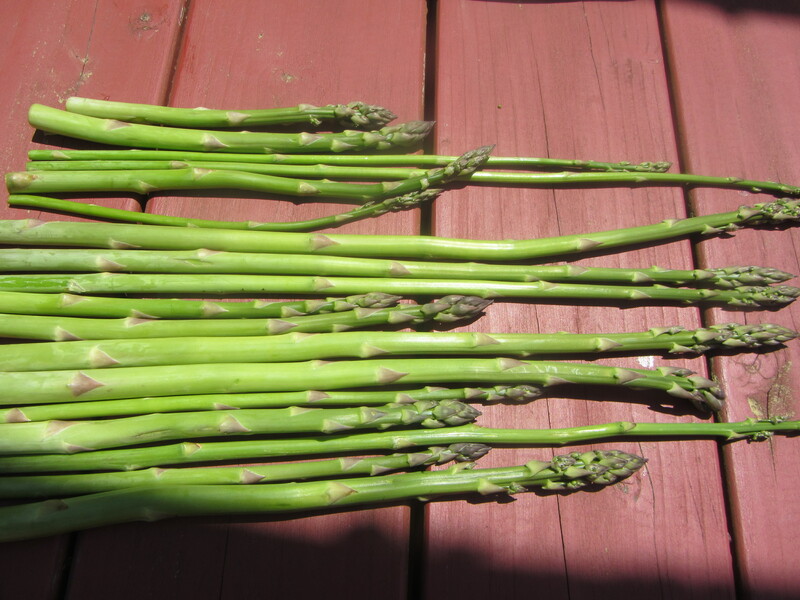 The time is now to harvest asparagus and strawberries. Since nature is our best model, I decided to test the notion that vegetables that ripen together should be eaten together. 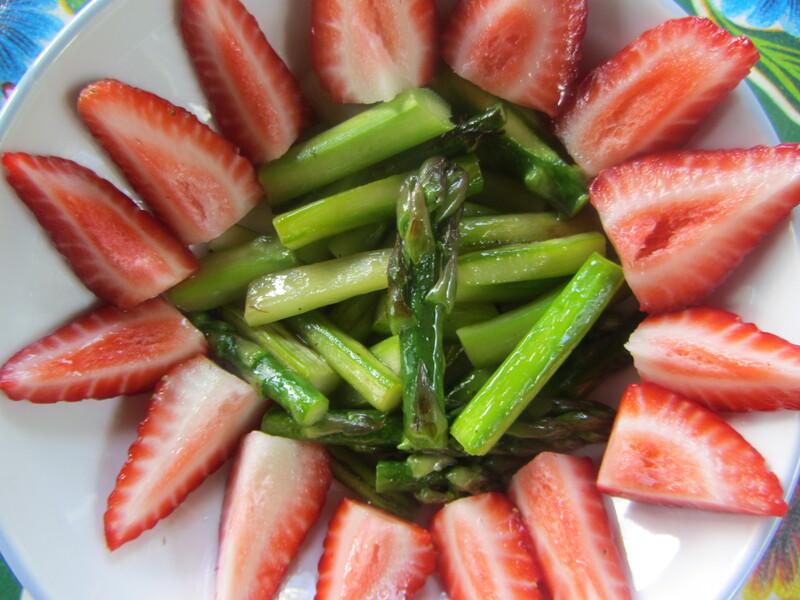 I combined blistered asparagus with fresh strawberries and got one delicate, woodsy green, sweet, juicy dish. 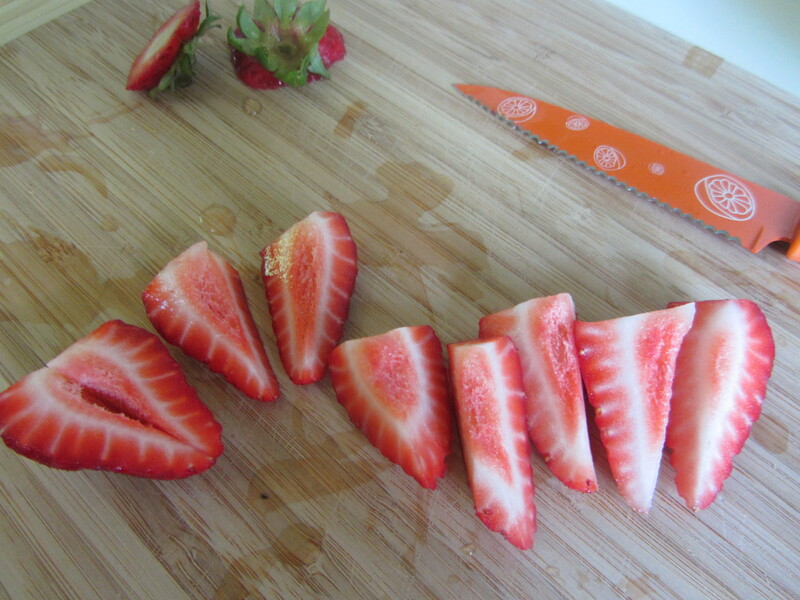 Wash the strawberries; trim the tops and slice each strawberry in half, lengthwise. Set aside. 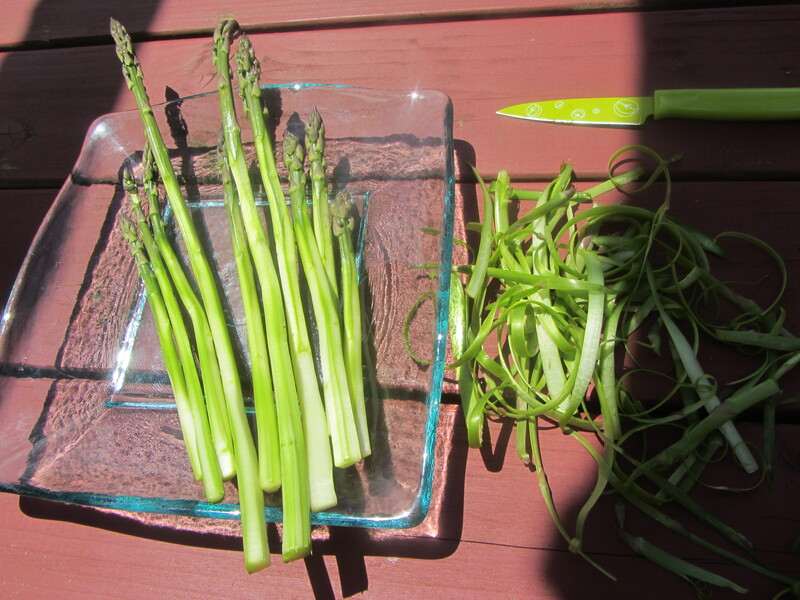 Use a paring knife – and great care – to shave the outermost, tough layer of skin of the asparagus. Wash them well. 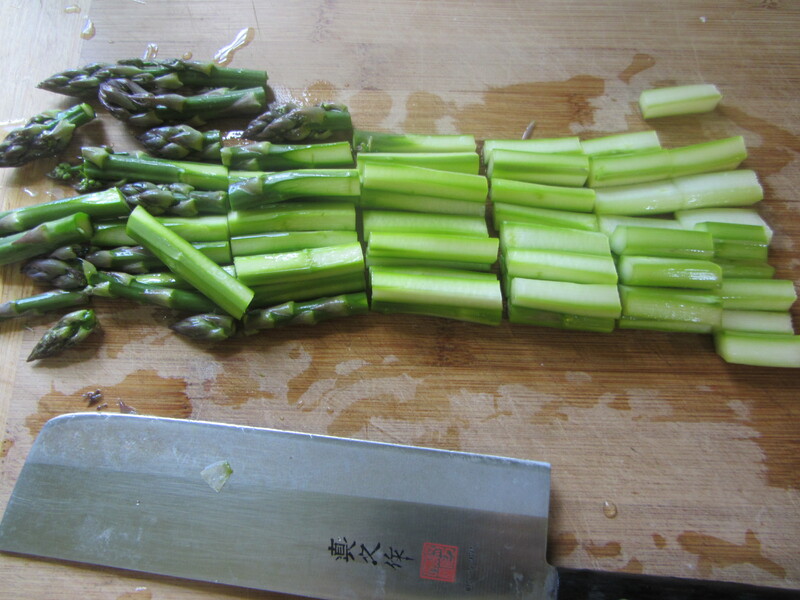 Cut the asparagus into two-inch-long pieces. Heat a cast iron or stainless steel skillet for about 20 seconds. Add the olive oil and let it heat up for another 20 seconds. 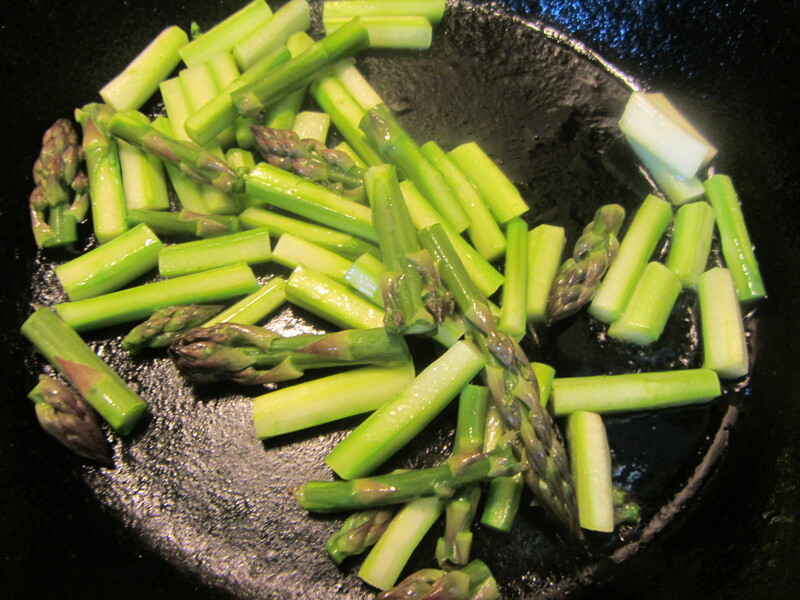 When the pan is hot, add the asparagus pieces. They will brown quickly – in about 30 seconds.